1. 80-column Monochrome composite monitor. 3. This monitor have not separate Y/C RCA connectors. PAL separate supported with 3rd party adapters via SCART connector. 4. 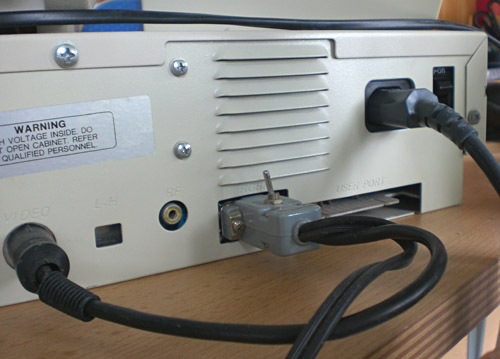 Both the C64 and C128 video mode supported but the mode switch on the back side of the monitor. 6. with 3rd party SCART adapter.